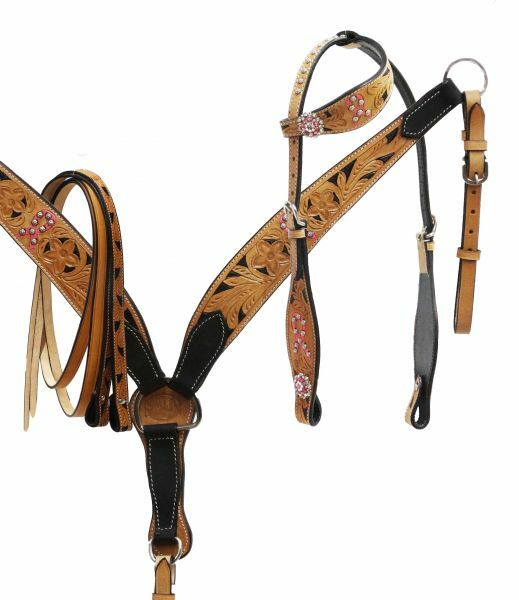 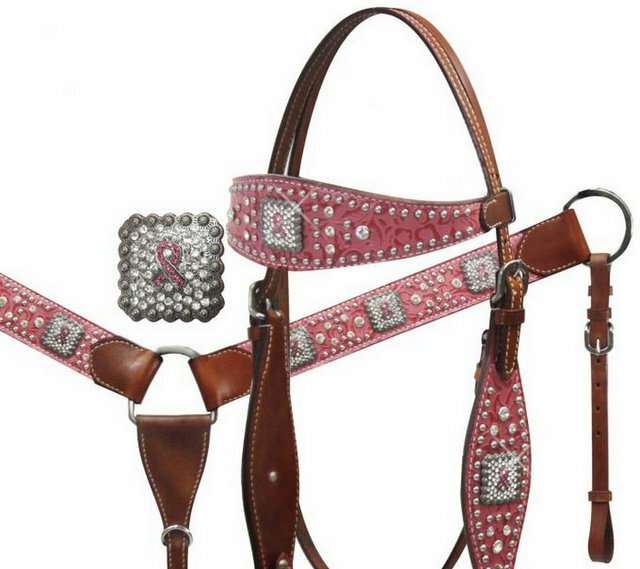 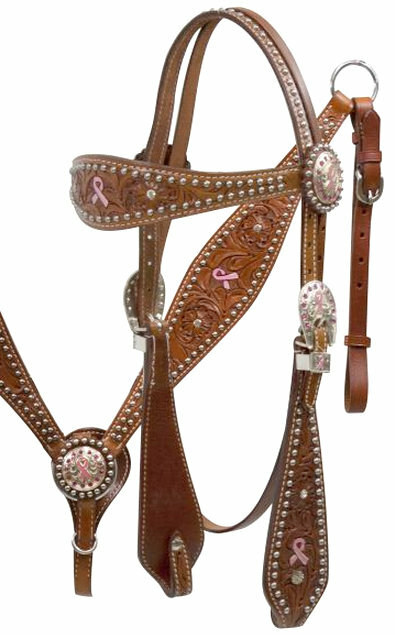 #12857 Pink Ribbon Headstall and Breast Collar Set with Crystal Rhinestones. 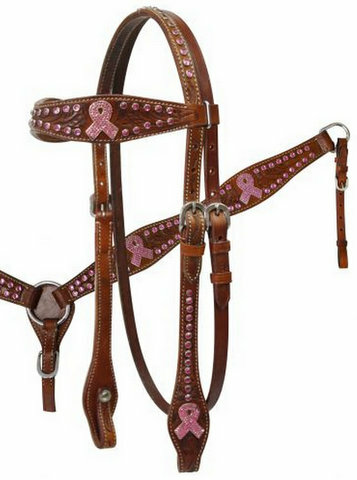 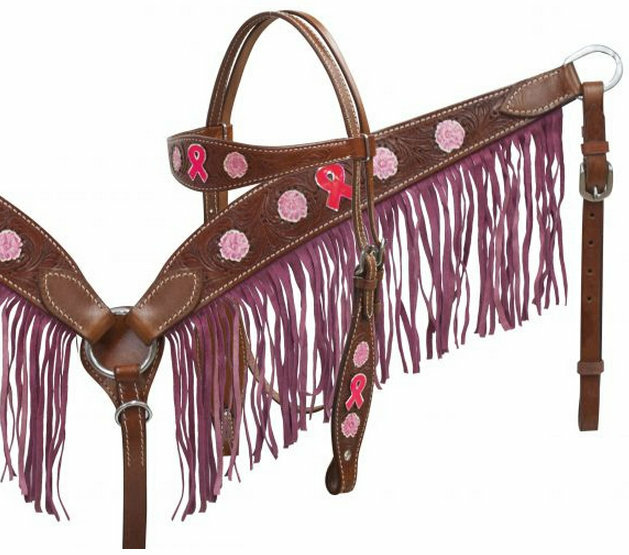 #12816 Pink Hope Ribbon Headstall and Breast Collar Set. 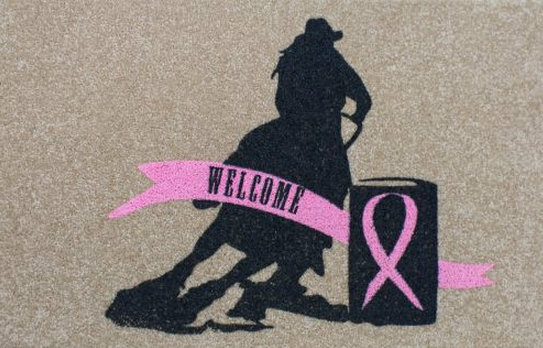 #1529 27" x 18" Pink ribbon welcome mat. 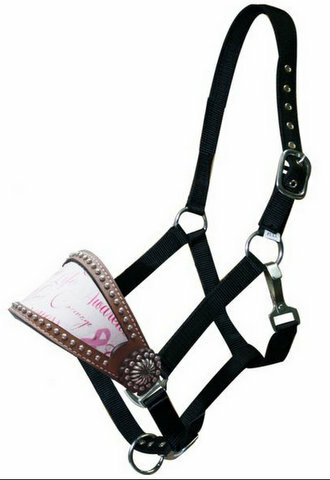 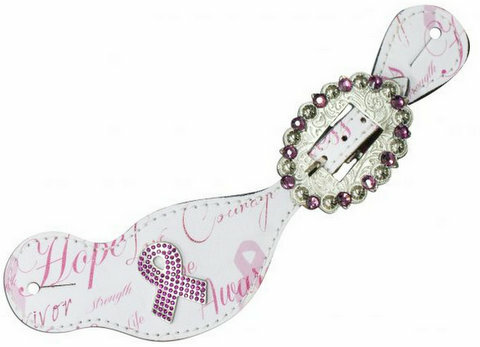 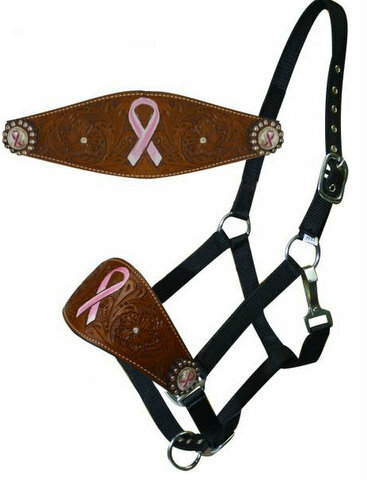 #16017 Pink ribbon " Hope" print bronc halter. 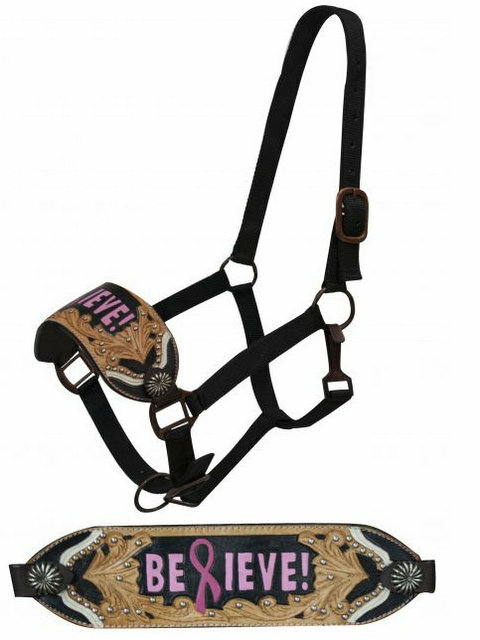 #7541 FULL SIZE BREAST CANCER AWARENESS Bronc halter with painted "Believe!"